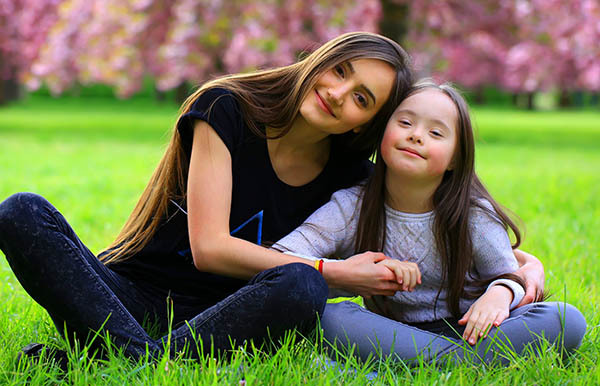 DS-5525 is the Statement of Exigent and Special Family Circumstances form you fill out for a minor if one of the parents or legal guardians is not available to give their consent. In essence, it provides relevant parties with all necessary context to determine whether or not the request for a minor’s passport has been made in good faith. The statement that you write on the form will outline a number of important details, including why the non-applying parent or guardian is not available to give their consent. Along with information about any and all attempts that you made to contact that person before turning to form DS-5525. It is important to note that any other physical evidence you can submit along with your DS-5525 form will be incredibly valuable during this time. You can include copies of a custody order, for example, a restraining order proving that one of the guardians is not allowed within a certain proximity of the other, or even an incarceration order proving that the non-applying guardian is in jail and is therefore unavailable to give consent. When is Form DS-5525 Needed? The passport is a minor who is under the age of 16. There is a time constraint that requires the passport to be granted quicker than in normal circumstances. In order for this form to be used, the exigent circumstance needs to pertain to the health or welfare of the child if the passport is not granted on an expedited basis. The notarized and written consent of the custodial parent cannot be obtained. This form will need to be signed by the other parent or legal guardian of the minor. How to Submit a DS-5525 Application? Form DS-5525 is submitted along with all of the other material’s in the child’s or minor’s passport application in order to help facilitate processing. Note: if you find that your trip is coming up fast and you need the minor’s passport in hand sooner rather than later, you can always choose to go to a passport expediting facility. Instead of six to eight weeks processing, these organizations can have the passport in as little as 24 hours in many cases. Downloading this form and printing it out is the easiest way to fill it out. Have passport photos taken and ready for the passport as this will speed along the process. Have all other forms filled out and ready to go. This will make the process simpler as well. Print out a travel itinerary. This will aid in obtaining the passport. Be prepared for questions and inquiries. There may be questions about different aspects of the form and the form will not be accepted until these are taken care of appropriately. If the information provided is not accurate or is simply incomplete, this will cause the form to be rejected and the passport application will be denied. If there are any questions while filling out this form, then the National Passport Information Center should be contacted. I applied for my son’s passport, my husband is currently detained by immigration I submitted the DS-5525 Statement of Exigent and Special Family Circumstances with an online locator and email phone number of his deportation officer would the department of state find those documents to be enough to get my sons passport? Answer: Yes this information should be enough to obtain your son passport. Question: I am currently in a settlement agreement with my wife for our son but she is insisting that I gave her sole rights get a passport for my daughters. I suspected a hidden agenda could she file for a United States passport for her without my consent? Answer: Normally the United States Department of State requires both parents be present for a minor passport usually one signature on the application and the other on the DS-3053 Statement of Consent from the non-applying parent that is accommodating the child. In an event where as a parent is not present you will need to submit the form DS-5525 Application Form. no, he will need to fill out a DS3053 and have it notarized in jail. My children”s father is currently incarcerated. I have a trip planned for Mexico next month and my children need passports. Would I qualify for the ds-5525? MY HUSBAND IS INCARCERATED. WILL THIS FORM ALLOW ME TO GET A PASSPORT FOR MY CHILD? Yes his name is on her birth record but she still has the copy of the old one with out his name. How do we prevent a minor child from going out of the country if the other parent is in the military overseas? A restraining order was issued back in 2013 against my son’s father for domestic violence and he was not allowed to have any contact with me or my son. Since then I have not had contact with him. Is this sufficient enough to fill out the DS-5525 form? There was a restraining order issued by the court back in 2013 for a domestic violence case between me and my son’s father. He was not allowed to have any contact with me or my son. Since then he has not had contact with our son and I do not know how to locate him. What do I need to provide in order to get my son a passport? So i have a step daughter, dad has full custody and her biological mother abandoned her and we have no way of getting in contact or finding her. How do we get her a passport? My ex it’s in jail …. what I can do ? I live in California and he is on Oklahoma … I’m still need the form sign? Hello, you can try and submit a DS 5525, but since you do not have sole custody and know where he is it may not be approved. If it is not approved the US Department of State will tell you what steps to follow. My 14 yo daughter’s father is listed on her birth certificate. We were never married and there is no legal document stating who has custody. There has been no contact with her father since 2005 when a VPO was filed and granted due to domestic violence. He has been in and out of prison for most of the time between now and then and is currently incarcerated for a minimum of two years. Can I use the DS-5525 to get her official passport? This is a “what if” question. What if my child’s father lives in another country, and we are traveling to see him, but it would take too long for him to mail a consent form to me? What would be the best path to take? What documentation is needed? Hello, do you have sole custody? My 15 year old step daughter is going on a cruise with her best friend’s family, to Mexico, leaving from California. Her biological mother has been out of the picture since she was 3 months old and has contacted us maybe 6-10 times total since then, (Anytime we thought it was appropriate, we let her visit our daughter). She and my husband never went through any official court/custody proceedings and I have not adopted her yet. My husband (my step daughter’s father) is in prison until after this scheduled cruise. He and I do have a notarized temporary guardianship agreement until he returns home (for medical care, school registration/activities, etc.). What do I need to do to get a passport for my step daughter? P. S. The trip is in six months so I have a little time if I need to send forms to my husband to fill out and send back. Also The court clerk will help u on which appropriate forms to file.